coming to few details here i have used net fabric from my stash as background and mdf gears for steampunky style...and few nuts lined up at bottom corner.. I love Steampunk!!! This is hott! Thank you for sharing with us at Eclectic Ellapu, good luck in the challenge. 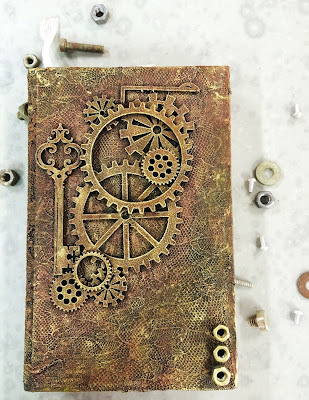 Love your travel journal cover. It's absolutely amazing! Love the layering and the gorgeous textures! Unfortunately, I will have to delete your entry as you have not used any Papericious products in your project and that is one of the rules for taking part in our challenges. We hope to see you participate again with another entry soon. Thank you for understanding. 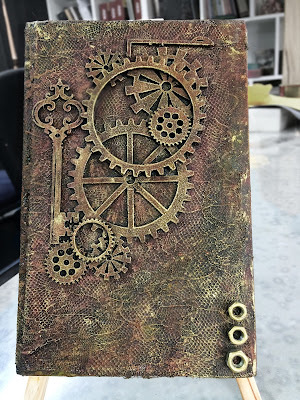 so beautifully steampunky - love all the detail, textures and the colours.Thank you for sharing with us over at Rhedd's Creative Spirit this month and hope to see you again in future challenges. Wow! This is pretty cool! An awesome alteration and mixed media piece! Wow I love the texture results!! Thanks so much for sharing at Rhedd's Creative Spirit!! 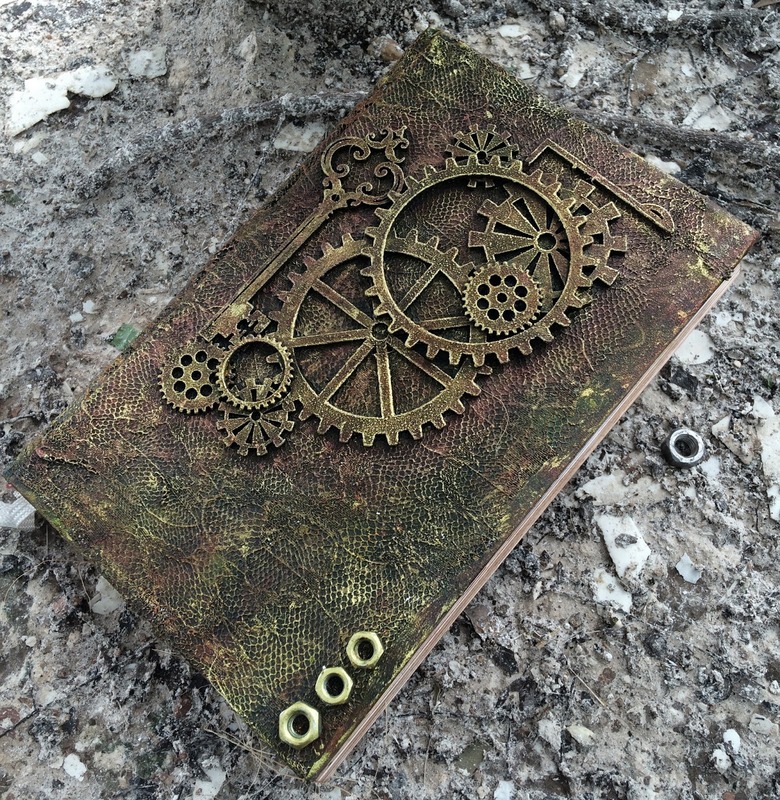 Wonderful texture and great male inspired steampunk. 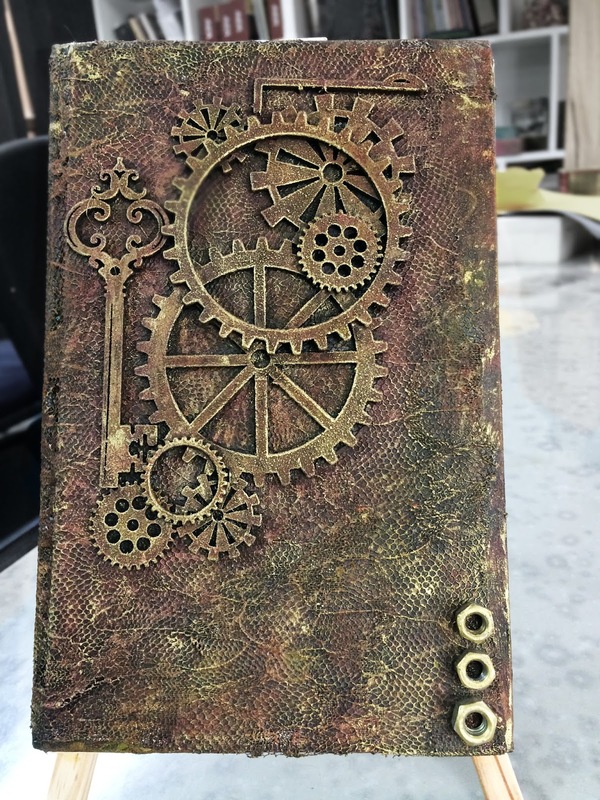 Thanks for sharing your project with us at Eclectic Ellapu! 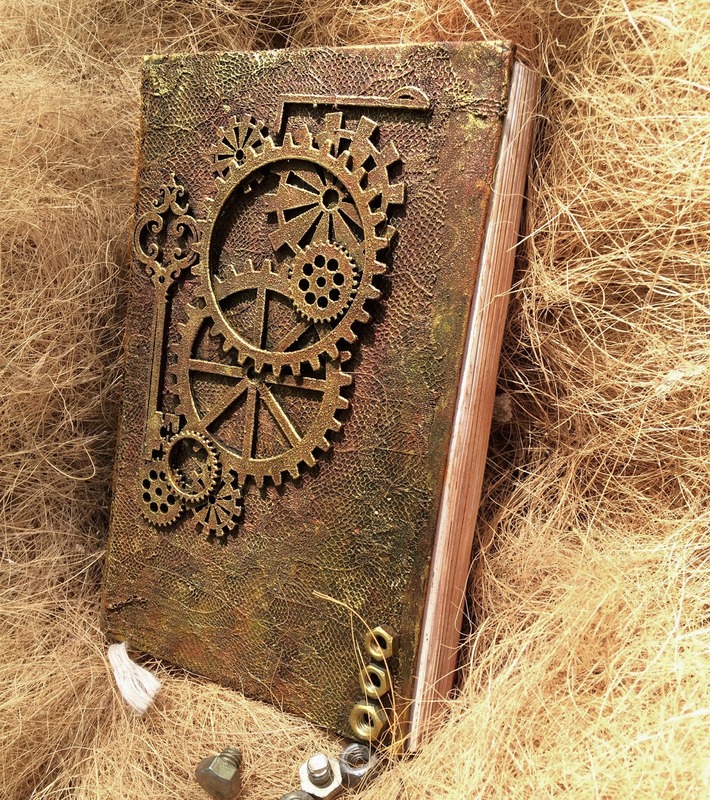 Your journal cover is stunning! The materials you have used have given so much texture. Thank you for taking part in The mixed media monthly challenge. Clare DT . 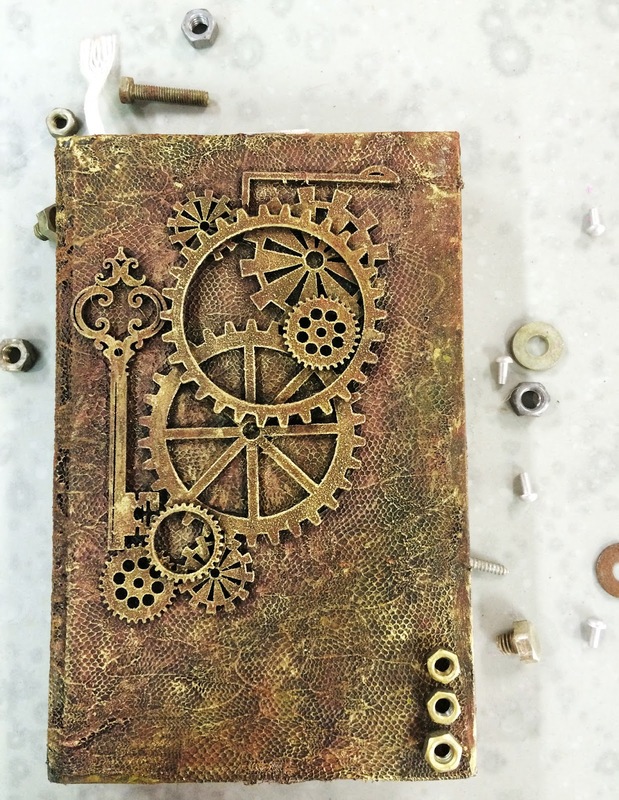 Very cool journal cover! Thanks for joining us at the Mixed Media Monthly Challenge.